One of our regulars, Art, saw a woman sitting by herself for lunch. He decided to buy her lunch as he would want someone to do something nice like that if his mother had gone to lunch alone. I talked with him for a little while and expressed how appreciative and heartwarming it was that he did that for a complete stranger. I decided to have him be my Random Act of Kindness for the week and gave him a Gift Card. I also gave him a Pay It Forward so he could continue to make others smile. He was very grateful for everything our company has done, do, and will be doing for others. I was getting ready to leave on Sunday afternoon last week and realized I had not accomplished my RAK for the week. I grabbed a GC from the safe and walked over to a random table, Mother and daughter dining on the patio -sometimes those are the best kind. They were out spending the day with each other as mom was looking for some company. Turns out her husband is a lineman and off helping victims of the hurricane! She was so touched and it brought a complete shock of joy to her. Last night I had a long time server, Jess ,approach me with a couple that really moved her. These two were a typical young couple well dressed , well kept in appearance not looking like they were wanting for anything. They had to be late 20s early thirties. As Jess struck up conversation she found out they have been together for 12 years have 4 kids from 1-8 years of age. They have really made sacrifices they each take turns working taking care of their family bringing up their kids providing great quality of life and haven’t had a night out in 6 YEARS! They had the look of love when they looked at each other two people who really have each others back in this world. The Lady was going to order desert even though she wasn’t hungry just to savor the night. Well, for Micheal and Natasha we let them have the whole evening and on us she was so moved they were both so grateful and let us know it was their first visit! 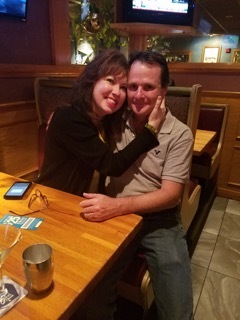 We moved them to the bar to relax when the dinning room closed, made them feel like family and then let them be to have their special well deserved date night. Very proud of this staff, this company and of those special people who touch our lives here. Tonight I had a lovely couple come in and dine with us on their 18th year anniversary. They sat down and Shane asked if we had any champagne because they were celebrating this special day. They were laughing and having a blast and I knew I had to make there night a little extra special. I picked up their tab for them and Heather started crying and thanking me, she just needed to give me a hug. This extra special gift to them truly made their night that much more of a special time. I wished them many more years of pure bliss because they looked like they were in the new relationship love giddiness. They are happy to pay it forward to someone and share there story. Kelly’s had a mother at her table who lost her son a few month ago in a car accident. Her story moved Kelly to tears so we decided to present her with the RAK certificate. They had already cashed out so we gave her a gift certificate for her next visit. She was very touched to be the recipient of act of kindness. Tonight in Derry, one of my servers Jamie let me know that she had a couple, dining with their son that were celebrating 56 years of marriage. Needless to say, that is pretty impressive. I took up their tab for them, and they were blown away. they could not thank us enough for the kindness shown.